Emperor of the Sea Slot is powered by Microgaming software platform. The game is 5 reels and 88 paylines game, which offer a huge jackpot to the players. 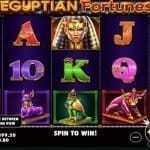 There are plenty of free spin features involved in this slot game. Minimum coins per line for the game is 1 and maximum coins per line are 10. Just like that minimum cons size is 0.01 and max coins size is 0.05. 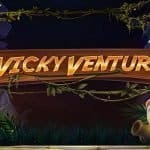 Players will have to adjust their coins per line and coin size before started playing the game at any free casino sites or at sites which are backed by Microgaming software platform. If you are looking to play Emperor of the Sea Slot with the help of real money then you are at right place. Five options available in this games are “Coins Size”, “Coins”, “Lines”, “Spin” and “Auto Play”. Coins size means to set the coins size, “Coins per line” means to set the number of coins per line, “Lines” mea to set the number of lines you want to bet. “Spin” is used to set the reels in motion and “Auto Play” button is used to turn the reels without interruption for a chosen number of times. Emperor of the Sea slot game is inspired by nautical theme and the backdrop of the game is being set against the sea. The graphics are perfect and background music is accompanied by Chinese music. The game includes log which is a wild symbol and it can make winning combos. Wild symbols can be substitute for all other symbols on the active reels except the scatters. The scatter symbol of the game is Golden Ingot. 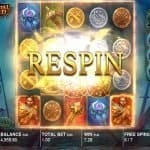 If a player hit 3 or more scatters on any active reels, he would receive free spins (8 Free spins).